Exotic princess is going to hit the party! But there is one main rule - purse first! Going in like that is a great thing, isn't it? So princess needs an extravagant chic clatch for such a show off! Help her to make one! 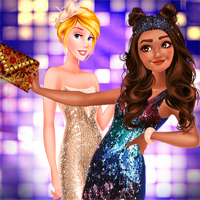 Lots of designs, accesories, decorations are here to become a part of the legendary bag! What do you think, can you do it? Can you become a royal purse designer?